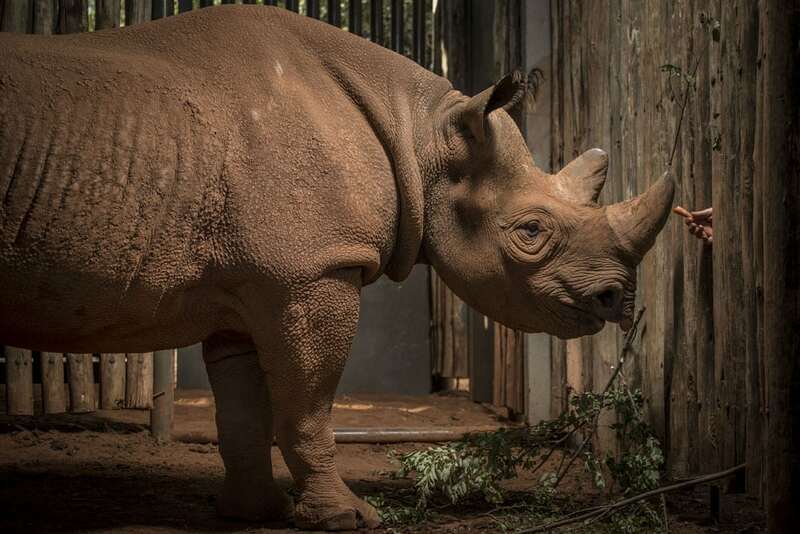 After spending his entire life at the San Diego Zoo Safari Park, Eric was selected to move to Tanzania to play a starring role in a breeding programme designed to help save the critically endangered species from extinction. If successful, Eric will be pairing with a female called Laikipia who was transferred to the Serengeti from an animal park in the UK over a decade ago. Her male companion was killed in a fight with a bull elephant in 2009 before she could produce a calf, so the long search for a new partner began. 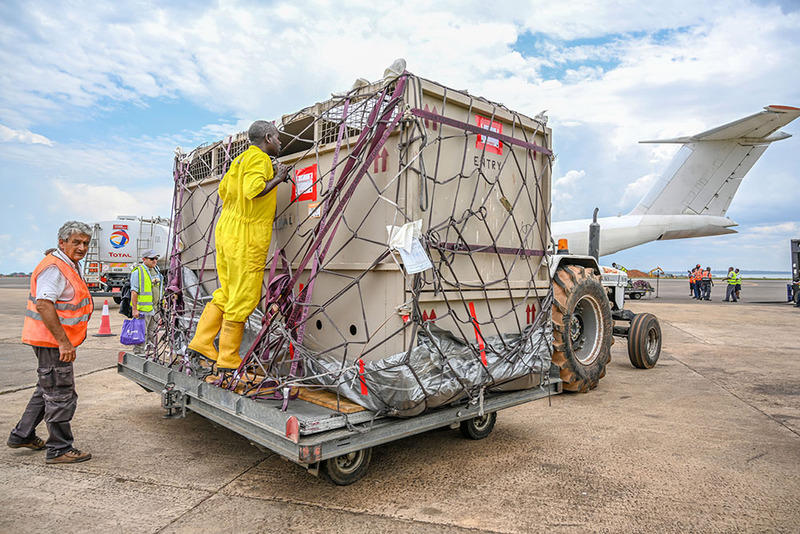 The logistics project to move Eric was coordinated by animal transport specialist Intradco Global on behalf of the Singita Grumeti Fund – a non-profit organisation carrying out wildlife conservation and community development work in Tanzania. The bulk of Eric’s epic journey was completed using Qatar Airways Boeing 777 and Airbus 330 freighters, with the rhino travelling in a special pallet containing his feed and water, accompanied by a specialist team of four attendants including a wildlife veterinarian and a veterinary technician and rhino habituation expert. The temperature on the aircraft was carefully controlled at all times to ensure the animal did not overheat or become stressed. The route halfway around the world took Eric from Los Angeles (LAX) to Liege (LGG) and on to Doha (DOH), where he was transferred to a second Qatar Airways Cargo aircraft for his onward journey to Entebbe (EBB). 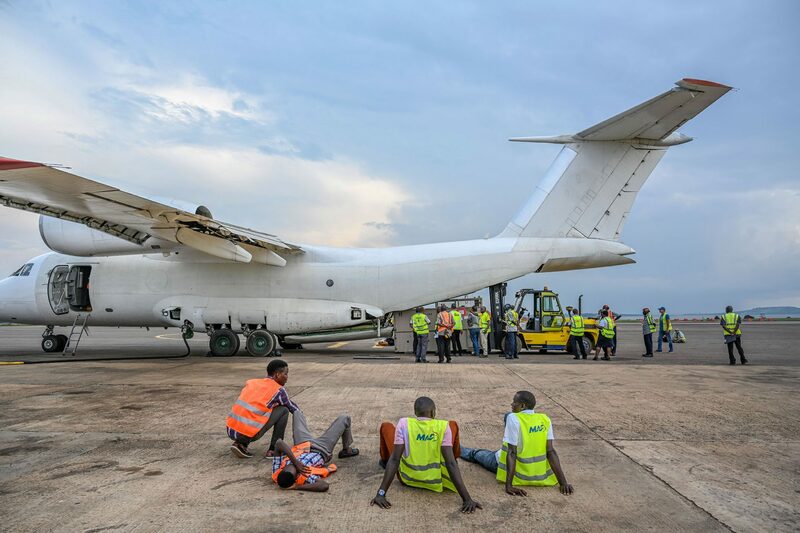 Upon touching down in Uganda, the rhino was carefully moved to a chartered AN-74 aircraft for the final flight leg to the Serengeti National Park. Intradco was required to source the aircraft at very short notice when a Hercules contracted for the flight broke its windscreen, putting the whole project schedule in jeopardy. Intradco worked closely with the Singita Grumeti Fund and Qatar team to ensure all permits and clearances were in place – including valid CITES documentation (the Convention on International Trade in Endangered Species) – a requirement when transporting listed species such as black rhino. Tom Lamb, Intradco’s project manager, accompanied Eric throughout the journey and travelled with the Singita Grumeti team to the 350,000-acre area conservation area located in the Serengeti wilderness. All images courtesy of Ami Vitale.